We know that you are excited about buying a new car, even if you have not sold your existing one. As the process of selling your existing car can be long-lasting and exhausting, so Ron Westphal Chevrolet from Aurora, IL, offers you a solution. Your current car still has value, and we are ready to offer you a good price for it. To find your trade-in value, you can use our online Trade-in value app at any time on our website. All that is necessary is to enter the required information about your vehicle, such as make, model and year. Additionally, the app will ask you for details about equipment, options, and color, and it is important that you provide us with as much information as possible to make your car’s market value estimation as precise as possible. After just a few moments, you will get an estimated market value of your vehicle that you can use in two ways: to reduce the price of the new Chevrolet you are buying at Ron Westphal or simply let us pay you in cash for it. If you have any questions about Trade-in value, call us or visit Ron Westphal Chevrolet in Aurora, IL, to help you find out your vehicle’s trade-in value. 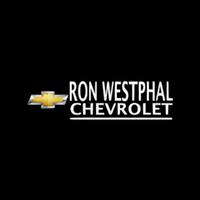 By submitting this form you agree to be contacted by a Ron Westphal Chevrolet staff member.